May already? This year is officially the fastest moving of all the years so far. It is a greyhound running down a hill wearing a rocket pack made of lots of tiny rocket packs. Meanwhile, here are a few things that are happening in the next coupla weeks. 19th May - Storyfest Children's Book Festival in Hartfield - I'll be there saying things and doing things and hopefully showing off my brand new book! See below more more on said book and go to http://www.storyfest.co.uk/ for more on this awesome fest. 3rd June - Book coming out day! 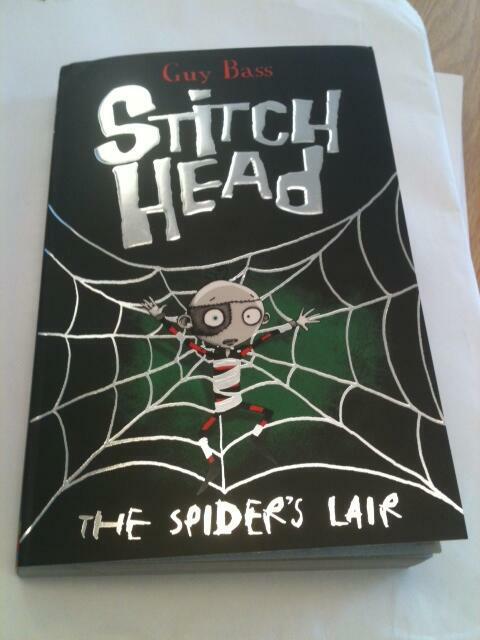 The fourth book in the Stitch Head series - The Spider's Lair - is out and gettable. Join Stitch Head as he tries to rescue Arabella from a particularly sinister orphanage. Get with the getting wherever books are got! Some news to come soon on a new ATOMIC! related project too. Watch this space. I'm also getting out and about again over the next few months, so maybe see you around. We are the class 5C of Gambaro school (Turin Italy). We'll be at the Turin International Book Fair on the 16th May. We have a lot of questions to ask you and we can't wait to meet you! !